Capable of playing in almost any role across the defence or midfield, the Welshman’s industrious displays for the second team have led to call-ups to the first team panel in recent seasons.. Notably strong, and comfortable on either foot, Matt was voted second team Player of the Year for the 2014/15 season, and also won goal of the season for an extraordinary left-footed rocket against Beechill United. He also netted a crucial goal for the firsts in their relegation battle that season, away at Jobstown. 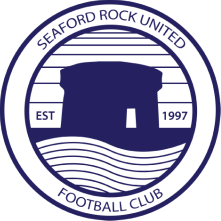 Matty passed 100 appearances for Seaford during the 2017/18 season, heading in his first goal in more than two-and-a-half years in the win over Hyde Park.